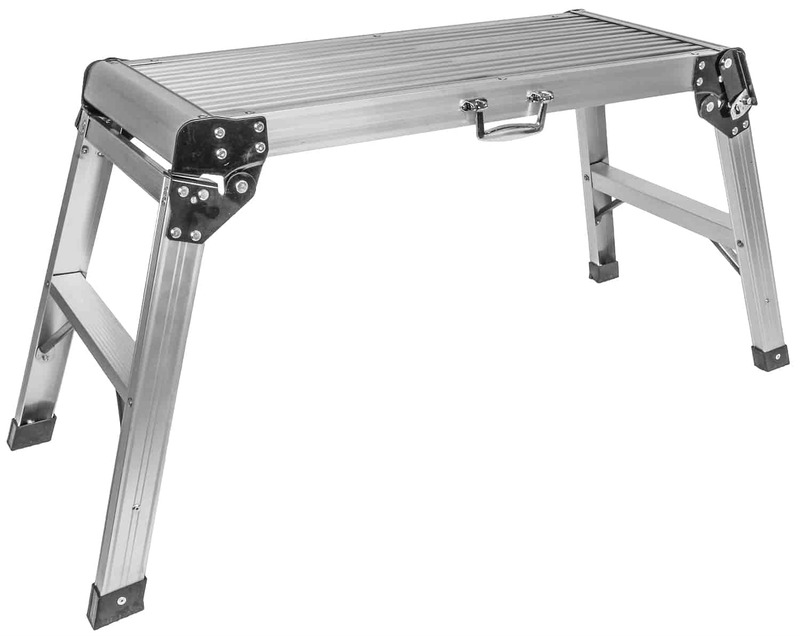 Sit on it, stand on it, use it as a work surface; JEGS multipurpose Aluminum Work Platform even allows for cuts or holes to be made in work pieces. This portable work platform offers a safe work load capacity of 260 lbs. with a non-slip surface, non-skid safety feet, and legs that lock into place. The built-in handle and lightweight, folding design allows for compact storage and transportation. 81428 is rated 2.0 out of 5 by 1. Rated 2 out of 5 by BigDave from A little flimsy It's okay but a little flimsy. I'm sure it'll be just fine if you weigh under 200 lbs but if you're a big man like me, you don't want to stand in the middle of it.